But we were interested to try some of the Nepali cuisine for our main courses, and we weren’t disappointed. For our starters, Julie went for Himalayan herb pakora, which were little parcels of spicy vegetables and herbs, and I went for a mixed starter, which featured chicken tikka, seek kebab, onion bhaji and another type of pakora. Both were really fresh and delicious! For our mains Julie tried Chicken Mustang. It was sensational! A perfect balance of sweetness and heat – the sauce was creamy and nutty. I went for Chicken Lumbini, which was a sizzling dish, cooked with onions, herbs, yoghurt and spices and served with a hot sauce on the side. Mine was very flavourful, although the sauce I ordered was a little too hot, and overpowered the dish – Julie’s was absolutely amazing, and I will definitely try that one myself next time I am there. Nepali cuisine is very similar to Indian, although the dishes tend to be more “herby” and use a really interesting mixture of herbs which give them a very “green” flavour. We shared some pilau rice, and Julie had a garlic and chilli naan, which was amazing, and I went for a stuffed paratha, which was fresh, but not as good as the naan. We washed it all down with Cobra beers. The service was excellent, and all the food tasted very fresh. The portions are quite large, so neither of us were able to finish everything – one rice for two is fine, and one bread would have been sufficient. We didn’t have room for desserts, sadly. 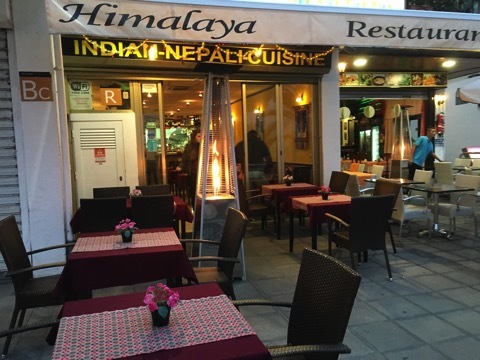 Regular curries are from €8 to €10 and the specials are €9 to €12. When we first came to the island, there was only one curry restaurant here – it was called Steve’s Balti House and it was in Matagorda. These days we have much more choice, and Himalaya is up there with the best we’ve tried, anywhere. 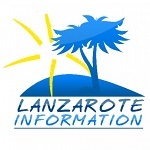 Read more Lanzarote restaurant reviews.